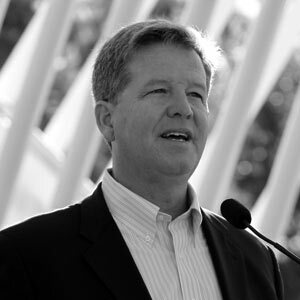 Jim Burnett founded the Office of James Burnett in 1989 and has dedicated his career to creating meaningful spaces that challenge the conventional boundaries of landscape architecture. He takes a multidisciplinary approach to his practice and routinely collaborates with a diverse range of design professionals and clients to develop projects that promote healthy living. Mr. Burnett’s recent work has focused on the rejuvenation of American cities through the creation of dynamic, public open spaces.